Sahm’s bring years of experience and dedication in serving the best in food and value to the OneAmerica Tower. Sahm’s offers a wide range of fresh made, ready to serve items that appeal to a broad range of tastes at the cafeteria, café or for a catered event. Sahm’s Catering provides complete food and beverage service with a wide variety of menu options, from breakfast to box lunches to hot buffets, hors d’oeuvres, picnics, and even International buffets. 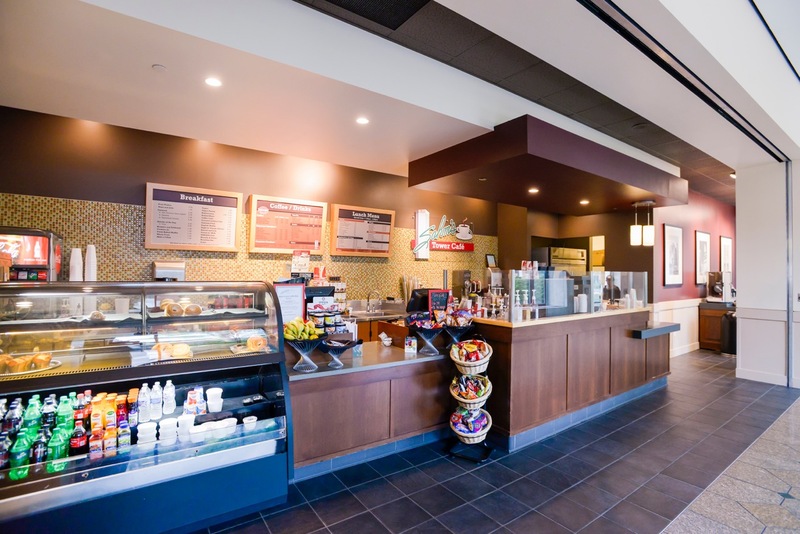 They also offer beverage service, from soda, iced tea, lemonade and coffee to full service bars. Its dedicated catering coordinators and chefs are happy to customize any menu to fit your specific needs. Sahm’s Atrium at the Tower, located in the heart of downtown Indianapolis, is the perfect venue for your unforgettable event. Let them help bring your visions to life with their all-inclusive packages, friendly staff, and impeccable catering. Being located on the courtyard level of the OneAmerica Tower allows them to offer the best of both worlds with stunning indoor and outdoor space all in one venue.